Good morning! I hope you are having a beautiful day so far! I was thinking back in my floral design class yesterday why I have always been drawn to flowers. I think it started with a beautiful moment in my life during meditation about 5 or 6 years ago. I remember I was sitting in the stillness, listening closely to my body and feeling the joy of the breath. In the silence I imagined, in such detail, a beautiful white flower. The petals were soft a exquisite, each petal opening slowly as I took each breath and letting go ever so slightly at my exhale. I was entranced, I felt an overwhelming sense of peace. After my meditation I described the flower to my mom and she was shocked. She knew exactly what the flower was. What I was seeing was the Lotus Flower which is a big part of yoga practice. I swear I had never seen or heard of this flower before and there it was. That fact that I was looking at the image online as I had seen in mediation was amazing, my little lotus flower emerging from the mud so beautifully. After that I wanted to learn more, I felt connected. The Lotus Flower is native to Tropical Asia and Queensland, Australia it is commonly cultivated in water gardens. The Lotus has many different meanings in many different cultures. Some of the meanings include purity, divinity, rebirth, creation, compassion, beauty, knowledge, wisdom, light, life and enlightenment. 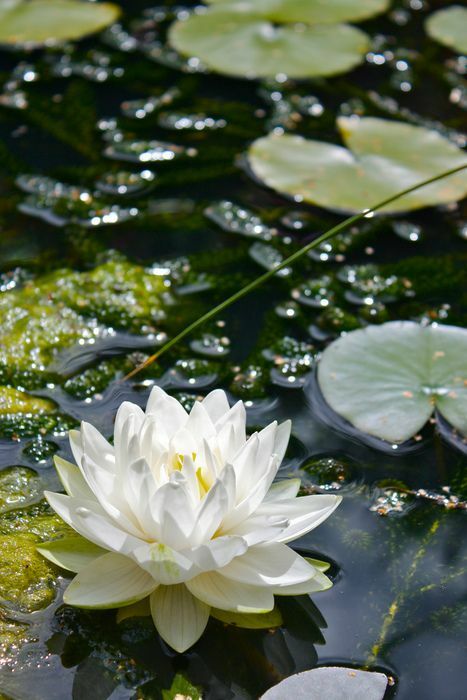 In yoga practice the Lotus Flower represents purity and a spiritual awakening. The Lotus Flower begins its life growing in the mud. Surrounded by dirt and other obstacles, it must push it’s way toward the light to emerge from the darkness and blossom above the water, opening it’s petals to the beautiful world that surrounds it. For me this was what touched me. Dealing with social anxiety a lot of the time you feel “stuck in the mud,” or “lost in the darkness” and emerging from that each time is what makes you stronger and beautiful like the Lotus. There is something beautiful to be learned from hard times and this little flower reminds us of that. I loved it so much I even got a lotus tattoo on my wrist. It reminds me everyday to breathe and that through the tough times we will all emerge and grow, guided by the light. So this is the first of many Meaningful Mondays. Each flower evokes emotion and symbolizes different things in our culture. Every Monday I’ll be bringing you the meaning of new and inspirational flowers – plus what better way to learn their names too! I hope you have a blessed day full of warmth and love. Enter your email address to follow little flannel flower and receive an email when a new post is up! Fresh, Local, Chemical-Free . . . Refreshing!